In chemistry, an activity series lets you predict the degree to which a particular element reacts with water and acids. Although this type of ordering is primarily used with metals, you can also organize non-metals into an activity series. Different elements exhibit a wide range of reactive potential, from explosive to inert. An activity series lists elements ranked with the most reactive at the top and the least reactive on the bottom. Most of the elements in the periodic table are metal substances distinguished by their luster, electrical conductivity and other physical properties. With the exception of mercury, they are solids with relatively high melting points. A defining characteristic of metals is the loose hold the atoms have on their outermost electrons. It is these electrons that participate in chemical reactions and determine the rank in an activity series. As you progress from the top to the bottom of a column of metals in the periodic table, activity tends to increase. Non-metals are elements such as carbon, sulfur and oxygen. Physically, they tend to be non-lustrous and poor conductors of electricity. These substances have a strong hold on their outer electrons, and may even “rob” nearby metal atoms of some of their electrons. 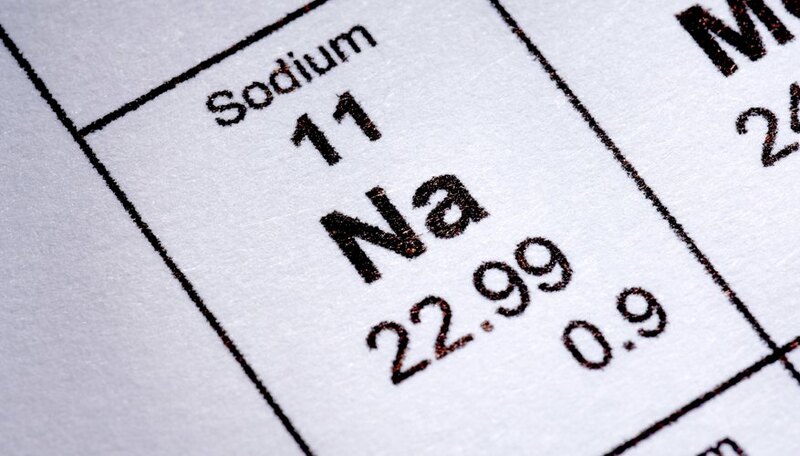 Unlike metals, which tend to be more chemically reactive as their atomic numbers increase, the heaviest non-metals are less reactive than the lighter ones. An activity series indicates how strongly an element reacts to aqueous solutions at room temperature. Among the metals, you’ll find the strongest reactions among the alkali group that makes up the first column of the periodic table. An activity series that includes the alkali metals will rank them in reverse order, with those lowest in the column at the top of the list, because cesium and rubidium react more violently than lithium and sodium. The halogens, which constitute the 17th column, are highly reactive non-metals. An activity series using halogens ranks them in the order they appear in the periodic table, with fluorine the most reactive. Water and acids dissolve metals to varying degrees, dispersing metal ions into an aqueous solution. Once the metal is dissolved, however, you recover it in solid form by dissolving another with a higher activity. For example, if you dissolve iron with acid, then add aluminum to the solution, the aluminum dissolves and the iron turns back into a solid. Aluminum has a higher activity than iron, so it takes iron’s place in the solution. If you then try to dissolve nickel with the same solution, the nickel remains a solid. Aluminum has a higher activity than nickel, so nickel will not force aluminum out of the solution. Frostburg State University: What Is an Activity Series, and How Is It Used? Papiewski, John. "What Can Be Predicted by Using an Activity Series?" Sciencing, https://sciencing.com/can-predicted-using-activity-series-23792.html. 24 April 2017.